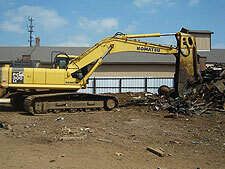 Top Scrap Metal Prices Paid!!! We sincerely believe in recycling for tomorrow's future and we are ready to pay cash now. Copper, Brass, All Aluminums, Scrap Cars, Trucks, Buses, Tin, Iron, Nickel, Alloys, Stainless Steel, A/C Coils, Appliances, Insulated Wire, Radiators, Carbide, Litho Plates, Compressors, Motors, Transformers and so much more. No Guess Work... Certified Scales! At Rose Metal Processing, scrap metal is beautiful! When we see scrap, we see value for you, turning unusable metal into usable dollars, and value for America by saving our nation's precious natural resources. 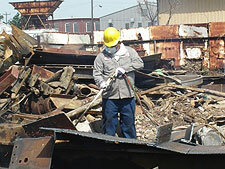 Rose Metal Processing has a keen eye on seeking out scrap, paying the highest price possible. 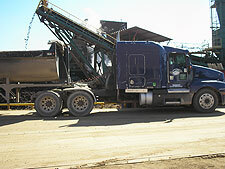 We welcome all types of metal and non-ferrous scrap! We have every type of equipment to handle your industrial account. Containers provided for industries at NO CHARGE!